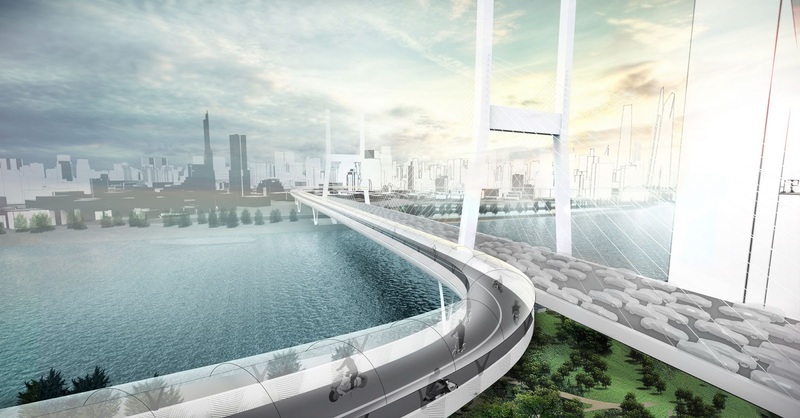 In true car company fashion, BMW has come up with a solution for cleaner commuting in crowded cities, and it involves moving two-wheeled electric traffic to a separate elevated cycleway, which would then serve as a direct link “between key traffic hubs.” The general idea of the BMW Vision E³ Way concept, which was developed in collaboration with Tongji University and the company’s Shanghai technology office, isn’t a novel one, as elevated cycleways have been proposed before (and built). However, this version would be roofed over and include solar panels, climate control, and rainwater collection features. 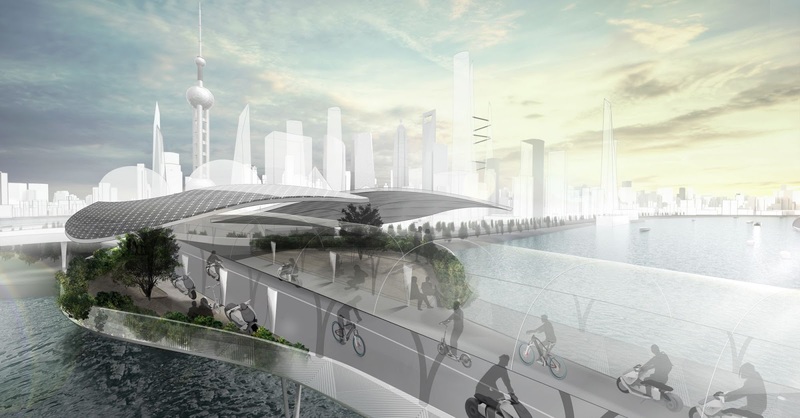 In a piece on Automotive News, author Nick Gibbs says that the concept would use a modular construction method to cut costs, and “could sit below the increasing numbers of elevated roads” that cross Chinese cities, thereby allowing the cycleways to use existing supports for further cost reductions. Getting the concept from drawing board to real-world construction “would require investment from many different parties,” Gibbs continues, and at least some funding could come from licensing a number of the patents registered by the BMW Group in relation to the project. Along with providing a route for current electric bike and scooter riders, the E³ Way concept could also enable a bike-sharing model by offering rental e-bikes at each entry point, which would make it possible for tourists and other pedestrians to benefit from the quick direct route to other transport hubs as well.